Every semester, we conduct a retreat. This is a wonderful way to escape the stress and craziness of the city and spend a relaxing weekend with new friends. On these retreats, we strive to educate retreatants about certain areas of the Catholic faith as well as to have a lot of fun away from Sacramento. Be sure to check the calendar for event dates. 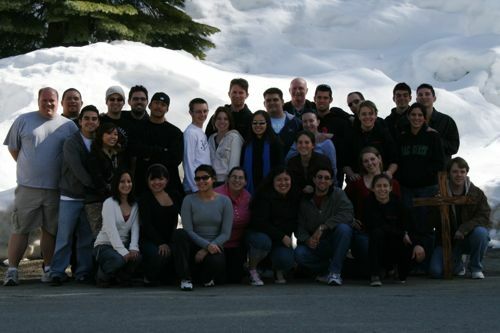 Past retreat locations have included Lake Tahoe, Applegate, La Porte and Soda Springs, CA.